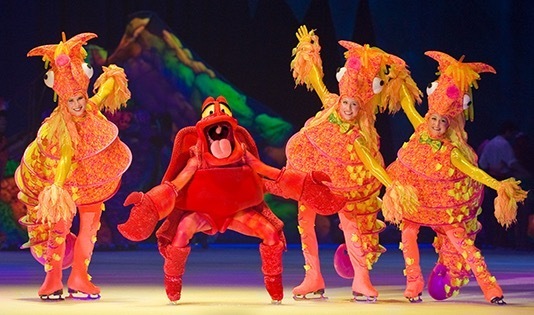 Following on from the success of last year's spectacular, Disney On Ice is returning to Birmingham for another show of glittering costumes and songs during the school holidays. 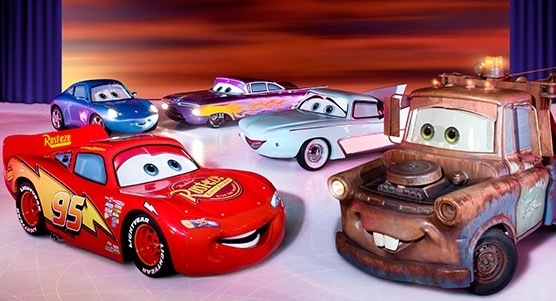 This time, the stories showcased will be Disney Pixar's Cars, Toy Story 3, Disney's The Little Mermaid and the Academy Award-winning Frozen as Disney On Ice presents Worlds of Enchantment at Genting Arena, Birmingham. The show comes to Birmingham from 28 March to 1 April to coincide with the Easter school holidays. There's a top team behind the show including an award-winner who directed the opening and closing ceremonies of the Salt Lake City Winter Olympics. This action-packed ice spectacular is a dazzling, big budget affair that reinterprets the popular films through ice dance and special effects. Once again, there will be the chance to warm up alongside Disney On Ice stars at the Fit to Dance pre-show, which children really revelled in at the previous show. "Worlds of Enchantment connects classic and new Disney stories," says Producer Kenneth Feld. "Audiences will be blown away in Radiator Springs when they encounter the unforgettable crew of animated cars, built to scale and live on ice. They will see their all-time favorites like The Little Mermaid and discover world of Arendelle with Frozen." The slick show uses top class ice skaters so it has all the high quality performances that have become renowned with the Disney name. 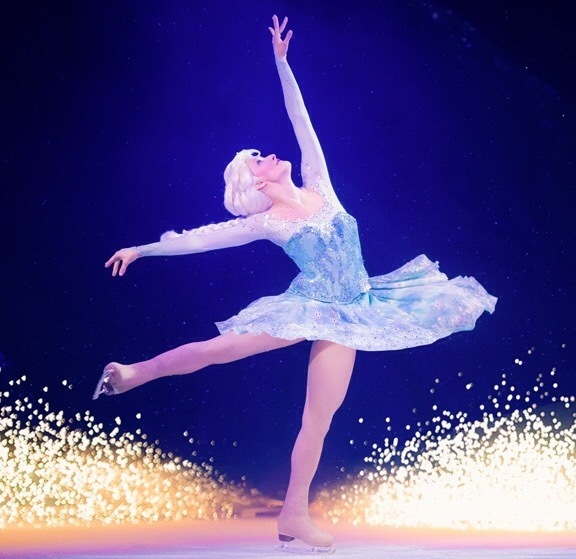 It gives audiences the chance to enter into the dazzling world of Disney magic. For the section based around Cars, there will even be high-speed stunts and a race across the ice. For The Little Mermaid portion of the show, the rink takes the crowd into an underwater delight with a calypso soundtrack as they see Ariel find true love. Buzz Lightyear, Woody, Jessie and other favorites from Toy Story 3 will be there too in a storyline that sees them try and escape from Sunnyside Daycare in one of their most daring adventures ever from Disney. 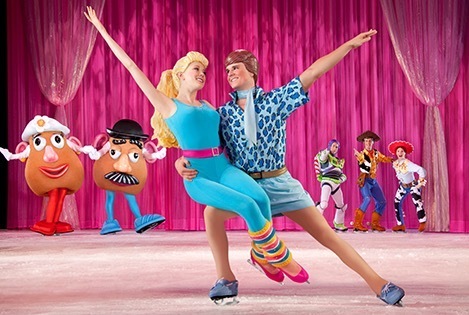 While the highlight of these Disney On Ice tours for many children is the section focusing on Frozen. It was the most spectacular part of the show last year as it transformed the stage into the icy world of Arendelle. It brought to life the plight of sisters Anna and Elsa while also delighting with snowman Olaf and the famous songs from the film, including the hugely popular Let It Go. Worlds of Enchantment was created by a team of industry experts known for their ability to convey the movements and designs needed to bring each Disney destination to life. They include Emmy award-winning choreographer Sarah Kawahara, who has worked with skating legends Scott Hamilton, Peggy Fleming, Dorothy Hamill and Michele Kwan. She also directed the Opening and Closing Ceremonies of the 2002 Winter Olympics in Salt Lake City. Meanwhile, Peter Morse - the Lighting Designer - has worked with talent from Barbra Streisand to Usher, Madonna, Prince, Shania Twain and the Backstreet Boys.